I have been experimenting with cashew meal and sunflower meal lately in the kitchen. 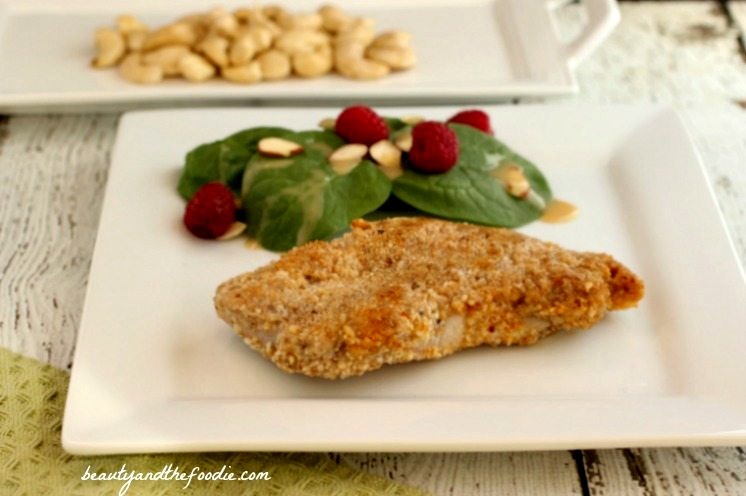 Surprised to find out that this combination of nut and seed meals makes the best pork chop breading I have ever had. My husband said that these pork chops were better than the ones I used to make with the shake and bake breading. He is really particular about pork chops, as they are his childhood favorite. We both grew up with those shake and bake pork chops. 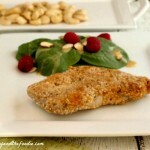 We have these garlic cashew crusted pork chops at least once a week now, and I always serve them with a spinach salad. My hubby has to always have spinach with his pork chops. He says they go together, and can’t be served apart. I call his quirky food rules that don’t make sense “food OCD”. 2 tbsp parmesan cheese * optional can omit if dairy free. Preheat oven to 400 F, and generously grease or oil a large baking dish. In a processor or magic bullet type blender, grind up cashews until powdered meal forms (if you can’t find cashew meal). Put ground cashews in a bowl and set aside. In processor or magic bullet type blender grind the sunflower seeds until powdered meal forms. Add ground sunflower seeds to the cashew meal in bowl. 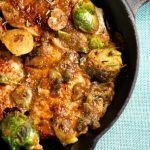 Combine with the cashew and sunflower meal: 2 tsp garlic powder, 1 tsp sea salt, 1 1/2 tsp smoked paprika, 1 tsp chipotle chili powder, ½ tsp black pepper and 2 tbsp parmesan cheese * optional. Mix together thoroughly. In a separate medium size mixing bowl beat 2 eggs. 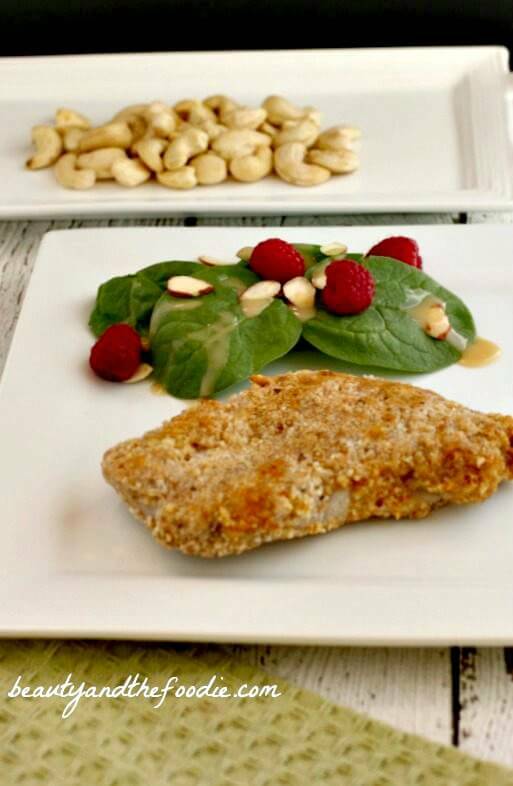 Dip a pork chop in beaten eggs and place in the cashew breading bowl, and coat pork chop in cashew breading. Flip chop over and coat the other side. Once coated, place in prepared baking dish. Repeat with each pork chop. Bake at 400 F for 20 to 30 minutes depending on thickness of pork chop. Half way through cooking time flip the pork chops over then continue baking for remaining time. 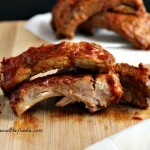 Crock Pot Pork Ribs with Killer Barbecue Sauce. What kind of pork chops? Boneless or bone in? 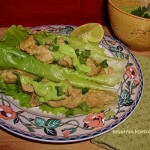 Hi Christina, I used boneless, but you can use bone in, but cooking time maybe longer. Is there anything you could substitute for the ground sunflower seeds??? Dianna, you can use almond flour instead. LOL, I love the story behind this recipe. I’m going to try it out just how your husband likes it. What dressing do you use on your spinach salad? Thanks!! Lori, thank you. I used an organic honey mustard dressing on the salad. I can’t remember that brand name. 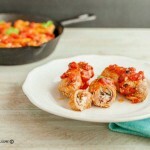 Going to try these tonight, will let you know how they came out.